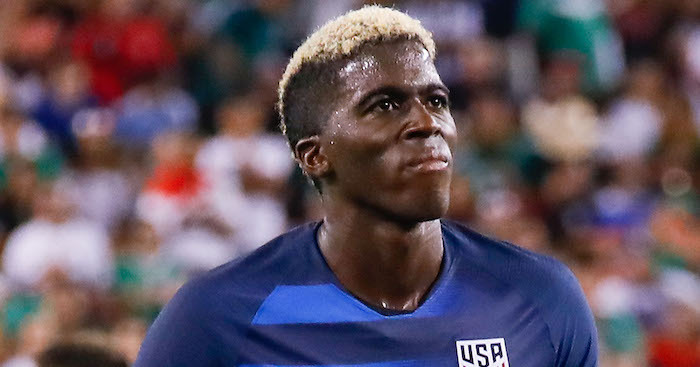 American star Gyasi Zardes could be heading for England this summer, with a number of clubs looking to land the international striker, we can exclusively reveal. The 6ft 2in striker joined Columbus Crew last year from LA Galaxy and he had an outstanding campaign in MLS – which has attracted interest from across the Atlantic. 27-year-old Zardes, who has 40 caps to his name, can play anywhere across the front-line and has Premier League and Championship interest with Crystal Palace, Huddersfield, Fulham, Middlesbrough, Leeds and Norwich all keen. Get the latest personalised football gifts and products on our new TEAMtalk shop!